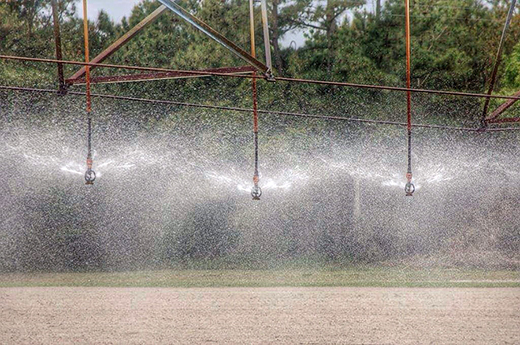 Energy Use for Water Agricultural irrigation is an example of how energy is used for water. The PNNL study investigated the role of energy for water and highlighted how intertwined energy and water are as resources. Photo courtesy of University of Delaware, Creative Commons License. Enlarge Image. Defining the role that energy plays in acquiring and accessing water will be significant to understand its importance to regions, industries, communities, and the environment. Results: Researchers at Pacific Northwest National Laboratory, working at the Joint Global Change Research Institute (JGCRI), led a first-of-its-kind study to fill a knowledge gap in global energy for water. They quantified its use from 1973 to 2012 with details about water sources, and by market sector, global region, and process-level uses. They found that energy use has been rapidly increasing across the globe with high consumption in regions of USA, Middle East, China, and India. The municipal sector is responsible for a large share of energy use for water. Much of that is used in acquiring water (processes of source and conveyance), in water treatment, as well as wastewater treatment. Why It Matters: Acquiring, cleaning, and delivering water where it is needed requires energy. Accounting for that energy use is important in understanding the total cost and impact of water use and energy needs. To gain a complete view of the complex interactions between water, energy, land and socio-economics, research must include energy use for water, which is expected to grow substantially in the future. This study points directly to the close-knit relationship between energy and the environment. It highlights the role of energy for water in energy markets, and more broadly in how intertwined energy and water are as resources, a relationship the research community calls the water-energy nexus. Methods: Researchers at PNNL's Joint Global Change Research Institute constructed a country-level historical water database based on the United Nation’s Food and Agriculture Organization's (FAO) AQUASTAT database and other data sources. 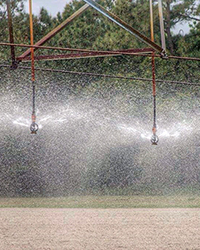 AQUASTAT, a global water information system, was developed by the FAO's Land and Water Division and collects, analyzes and disseminates data and information by country on water resources, water uses, and agricultural water management. The team then evaluated energy intensity values and range via a literature survey. The team estimated conversion ratios from primary energy to electricity based on the data from International Energy Agency Energy Balances. Finally, they estimated the energy for water at the country scale for the years 1973-2012. This research sets a foundation for integrated and long-term analysis of the implications of various climate change and technology strategies in the context of future demands and resource availabilities of both energy and water. It therefore has the potential to significantly influence both scientific undertakings in environment, hydrology, energy, climate change mitigation, and adaptation, as well as region-specific environmental strategies. What's Next? The team will incorporate energy for water information into the Global Change Assessment Model, an integrated assessment model representing numerous human and natural systems in a single modeling framework, and investigate how it has induced greenhouse gas emissions. They will analyze the impacts of climate change on irrigation and subsequently on energy for water. They also expect to uncover the effects of energy for water and the fate of future desalination efforts. Sponsor: This research was supported by the U.S. Department of Energy's Office of Science, Office of Biological and Environmental Research through the Integrated Assessment Research Program. In one sentence: PNNL researchers working at the Joint Global Change Research Institute led a first-of-its-kind study to find that energy for water has been rapidly increasing across the globe with high consumption in regions of the USA, Middle East, China, and India, primarily for municipal use.